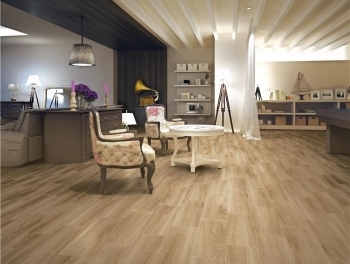 Cheap Wood Effect floor Tiles online? View the large collection! 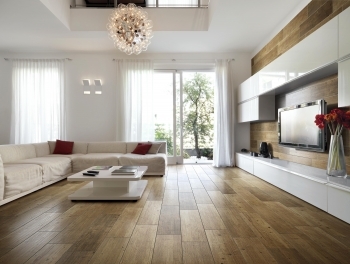 Wooden floors have been increasing in popularity for some time and are often seen throughout the home, from living rooms and dining areas to bedrooms and conservatories. From traditional stripped floorboards to contemporary laminates, all wooden flooring suffers from the same problems when it comes to long term care. Wood floors can easily be damaged by furniture and will require frequent maintenance, making them a time-intensive and costly choice, especially for families with young children and pets at home. Luckily, budget wood effect floor tiles provide the obvious solution. 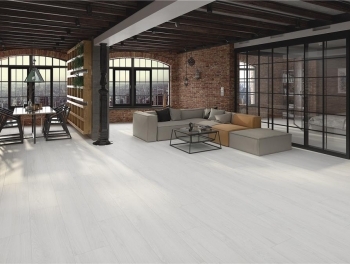 With all the warmth and visual appeal of classic wood flooring, budget wood effect floor tiles are low maintenance and hard wearing, making them a practical and cost-effective choice. 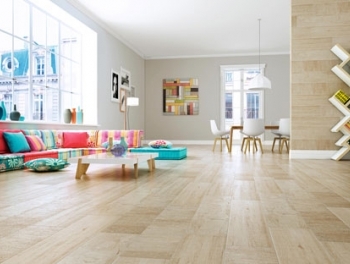 One of the reasons that wood floors are popular is because they come in a host of colours to match the room's decor. 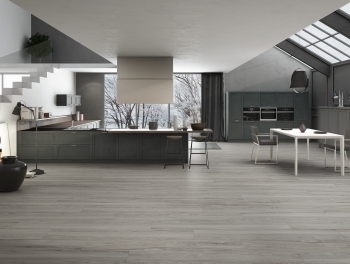 Our budget priced wood effect floor tiles also come in a choice of shades, so you can capture the look of natural wood without any of the hassle. Much easier to clean than traditional floorboards, our well priced wood effect floor tiles are ideal for those who don't want to spend a long time cleaning their home, and because they are resistant to staining, accidental spillages can be easily mopped up without causing any damage. 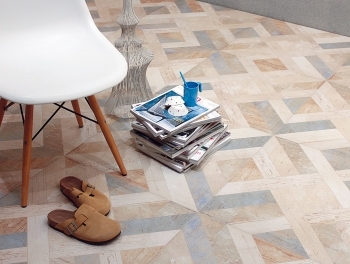 Get the look of laminate in your living spaces with our light coloured budget wood effect floor tiles. 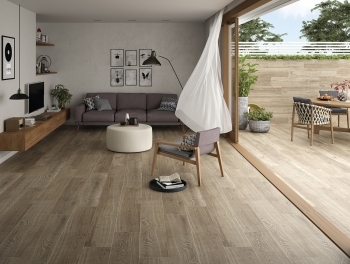 Every plank even features natural-looking knots and grain for a really authentic appearance, and these cheap wood effect floor tiles even work with underfloor heating systems! To bring the warmth of realistic-looking floorboards into your home, why not try our oak budget priced wood effect floor tiles? 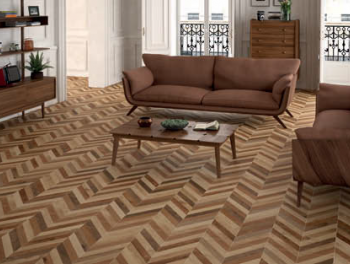 With a darker appearance, this flooring gives a cosy feel to your space while looking so realistic that your friends will be completely fooled! 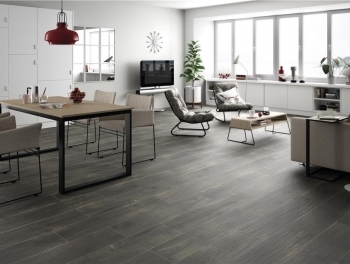 For cheap priced wood effect floor tiles with a more contemporary ambience, our grey wood effect porcelain tiles are the ideal solution. Bang on trend, these lifelike planks are a stylish alternative to real wood and will require no waxing to keep them looking as good as new. 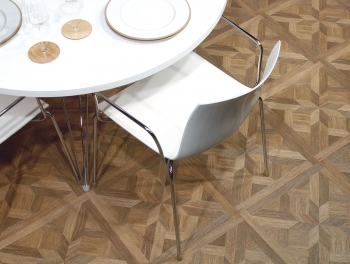 Visit Tiles Direct today and be inspired by our range of gorgeous budget wood effect floor tiles. You'll be amazed at how realistic they look!